For those who have been keeping up-to-date with the firm, you'll know that Samsung has recently moved from 45nm to 32nm production for its ARM-based SoCs; with the Exynos 4 Quad, featured in Samsung's GALAXY S III smartphone, being one of the first chips to benefit from the decrease in size. When we take a look at the grander picture, however, Samsung is a little behind its competitors, with chip-maker, TSMC, already churning out 28nm parts for competing firms like Qualcomm and NVIDIA. Intel is even further ahead with its Ivy Bridge processors being produced at 22nm and utilising 3D transistor technology. It makes sense then, that the firm doesn't wish to fall behind and yesterday the Samsung announced that it would be investing £1.24 billion in a new production line that will have nodes for both 20nm and 14nm production on 300mm wafers, bypassing both the 28nm and 22nm way-points. 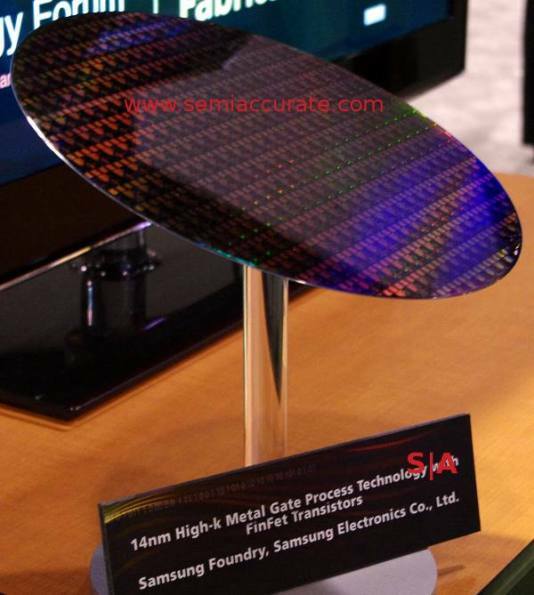 With a completion target set for the close of 2013, this investment should see Samsung placed on-par with Intel, who has also confirmed its intention to move to 14nm next year. We wonder if TSMC intends to match Samsung's announcement, as there will no doubt be many eager customers who don't wish to fall behind.